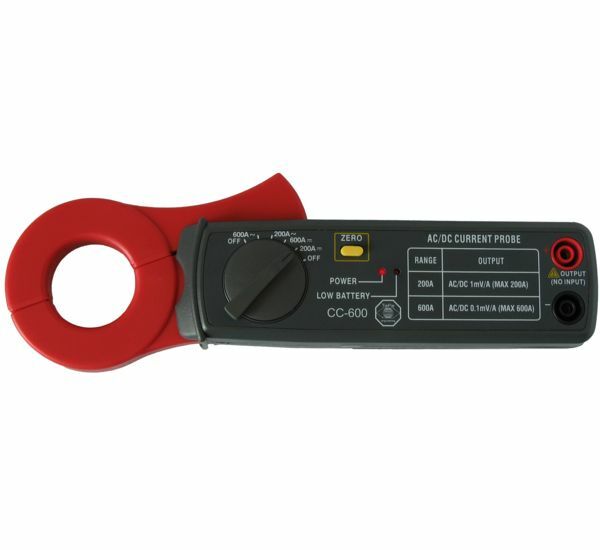 The Current clamp TP-CC600 is a current clamp that will allow your oscilloscope to measure electrical currents up to 600 A AC/DC, with a frequency response up to 400 Hz. When measuring with this current clamp, there is no need to break a closed circuit or to affect the isolation. The wide jaws allow performing measurements on thick conductors. For measuring DC current, a simple to operate zero adjust button is available. The table below shows detailed specifications of the Current clamp TP-CC600.